X-Factor runner-up, Rhydian has had a successful career with Simon Cowell's record label, Syco. Releasing two widely selling opera albums. I'm not going to lie, I wasn't a fan of the albums, although I did enjoy Rhydian's performances on the The X-Factor, showing he was always stronger as a pop act, in my eyes. Now he's back with his third album, Waves, under a new record label, and hurrah, it's a pop album. This is truly a perfect for a single for the album, it really captures the new wave era with Rhydian's vocals adding a wonderful alternative from the original. The track starts with softly with powerful build up to the magnificent uptempo chorus complete stirring backing vocals alongside Rhydian's powerhouse style. You can listen to the track here. This track is probably most known for the Eurythmics cover version and not original from The Lover Speaks. In my opinion, Rhydian's version has completely blown the previous two out of the water. His soulful Bryan Ferry-esque tone and varying pitch really make this track his own, even when taking on a somewhat well known track as this. This demonstrates his incredibly strong and varied vocal ability. This track feels hugely 80's. It's perhaps one of the most theatrical and showy of the album but the production value feels high. Rhydian's voice draws some comparison with the likes of Duran Duran in this epic synth-ballad. Broken Land is probably the most upbeat track on album and memorable. This majestic showcase of his voice feels incredibly theatrical, yet powerful once again focusing on elements of his baritone vocals. There's only one track that I'm not a huge fan of (You're A Big Girl Now) but the rest of the album is an incredibly high standard and worth a look for any fans of 80's or New-Wave music. Please ignore The Observer's review, which clearly has snobbishly looked down on Rhydian's X-Factor background. This is modern day piece of theatrical, synth-pop and a wonderfully selected batch of songs. 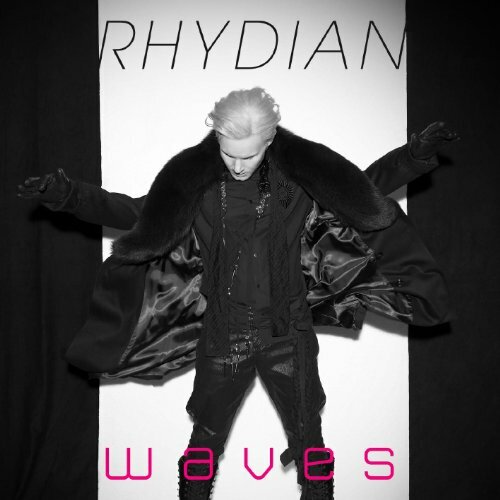 I really wish Rhydian the best of luck in this week's charts because this is a wonderful new direction he's taken and one of my favourite albums of the year.